Looking for an inspirational gift of faith? Our collection of stanhope crosses & crucifixes make perfect gifts to celebrate a special sacrament, preserve an important moment or express devotion to your faith. 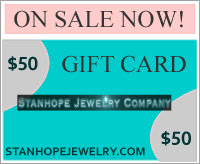 For added sentiment you can personalize any religious jewelry piece with a custom stanhope photo. All of our stanhope pendants and necklaces can be personalized with your favorite photo and many have a selection of popular stock images to choose from as well. You'll find hundreds of styles and color choices among our Lord's prayer crosses and many include the finest sparkling Swarovski crystals. All Prayer crosses & Custom Photo crosses are marked down 20%-60% for this sale. Choose from 29 different prayer images. Our stock images include many denominations & faiths including Christian, Catholic, Protestant, Hebrew, Jewish and other religions. We also have Lords Prayer images in Spanish, and other languages. If you don't see the language as a selection please contact us for help. The image on the right shows several of our Prayer cross stock images.